June to September: Three long months with nothing to do, because there’s no teaching. So we lock up our offices with a “Back in September” sign and fly off to exotic places, or we stay here and catch up with our neglected hobbies of baking, knitting and gardening. Conference on Corpus Analysis and on Interpreting: Claudia Angelelli presented her work on The California Hope corpus of healthcare-mediated communication in the panel entitled „The Benefits of working with corpora in community interpreting research: from qualitative analysis to quantitative verification – and back.” Meyer and Schmitt, organizers. 1st Conference on Corpus Analysis on Interpreting. Forli, Italy. Prof. Angelelli was also invited to present two papers (Designing a valid and reliable measurement instrument for interpreting purposes and Teaching to their gift: the case of young bilinguals at high school) at the School of Interpreting, Forli, Italy. 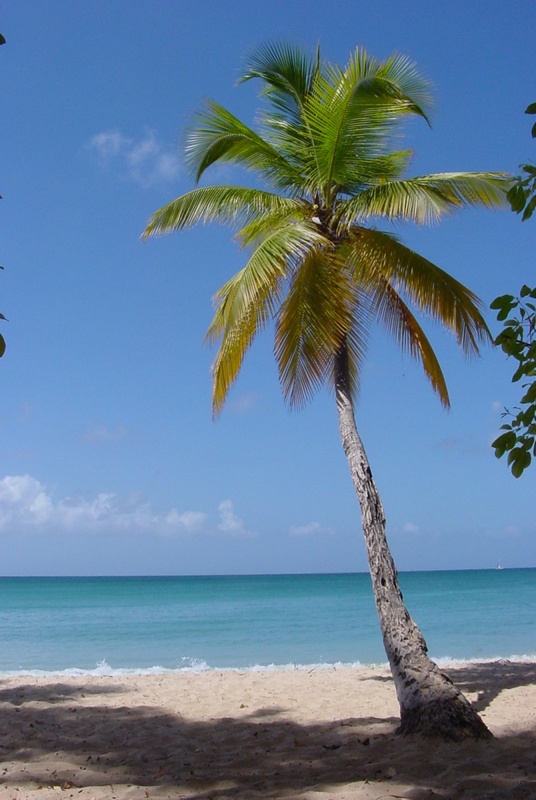 Minding the Gaps: the Value of Grounding Interpreting Teaching in Research. Paper presented at Beijing University of Foreign Languages and Cultures, Beijing, June 12, 2015. 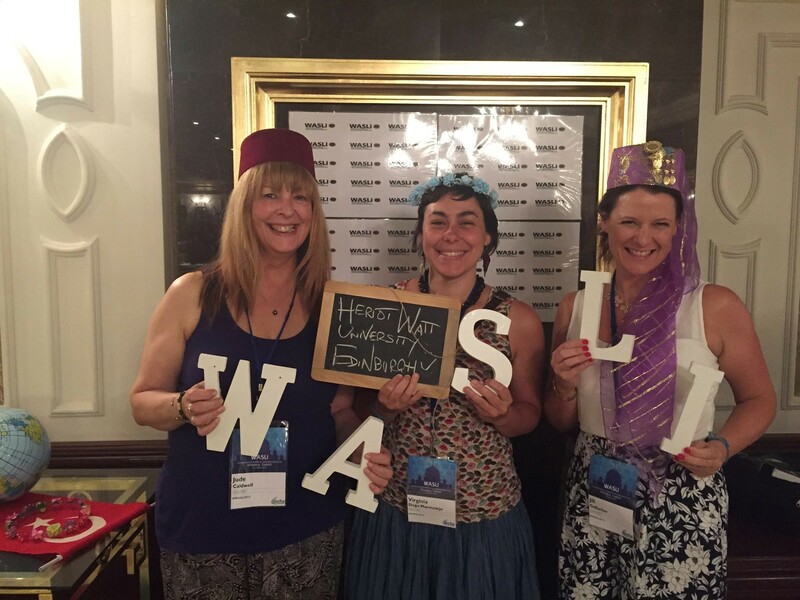 WASLI 2015, Deaf History International Conference and 17th World Congress of the World Federation of the Deaf: Prof Jemina Napier, Stacey Webb and three students from the BSL department participated in this year’s World Association of Sign Language Interpreters conference in Istanbul, Turkey. Jemina also participated in the Deaf History International conference in Edinburgh and the 17th World Congress of the World Federation of the Deaf in Istanbul. IATIS 2015: Dr Marion Winters participated in this year’s conference of the International Association for Translation and Intercultural Studies in Belo Horizonte, 6-10 July. She presented a paper on “New computational tools in corpus-based translation studies” and co-convened the panel: Corpus-based translation studies: innovations in the new digital age. She also co-facilitated the Workshop: Presenting your research orally in English. MAMO 2015: Dr Kerstin Pfeiffer attended The Middle Ages in the Modern World (MAMO 2015) conference at the University of Lincoln from 29 June to 1 July. MAMO 2015 was an international conference with ca. 100 speakers from a range of fields and disciplines including History, Literature, Film, Video Games, Performing Arts & Drama, Languages, as well as Museum Studies. The papers at the conference explored the continued return to, and relevance of, the Middle Ages in the post-medieval world in a variety of areas, from popular culture to public history, from science to advertising, and from pedagogy to political rhetoric. ECA 2015: Dr Katerina Strani presented a paper at the 1st European Conference on Argumentation: Argumentation and Reasoned Action on 11/06/2015 in Lisbon, Portugal. This international conference brought together philosophers, linguists, argumentation theorists and computer scientists and culminated in keynote speeches by John Searle, Norman Fairclough and Simon Parsons. Katerina’s paper, presented together with Dr Evans Fanoulis, University of Leicester, was entitled “Arguing in Virtual Spaces: The Social Construction of a Multilingual Virtual Public Sphere”. The paper argued that the importance of language, in particular of multilingualism, in political argumentation has been relatively underexplored by both normative and radical democracy theorists. Multilingualism constitutes an integral part of the contemporary understanding of the public sphere, in which political argumentation may defy linguistic barriers. Digital technologies have altered the ontology of the public sphere to such an extent that one can currently talk about the emergence of multilingual, post-national, virtual public spheres. For more information on the conference, please see here. SIEF: From 22-25 June 2015, members of the Intercultural Research Centre (IRC) participated in the 2015 congress of the International Society for Ethnology and Folklore (SIEF) in Zagreb. The papers they presented ranged across a broad spectrum of topics: Postgraduate members presented a semiotic analysis of clothing, heritage & identity of Russian Old Believers in Romania (Cristina Clopot), a case study of fundraising for the National Trust Scotland (Anna Koryczan), and ethnographic insights into Lithuanian migration to Scotland (Vitalija Stepušaitytė). Staff members explored how emotional scripts of medieval passion plays are re-imagined for and by contemporary audiences (Dr Kerstin Pfeiffer), whether Derry~Londonderry’s year as UK City of Culture 2013 succeeded in generating a shared story for the city (Prof Máiréad Nic Craith, written with Dr Katerina Strani and IRC associate member Dr Philip McDermott), and political dimensions of place and belonging among displaced groups (Prof. Ullrich Kockel, reporting on his SML-IRG funded research project on expellee and refugee youth after World War Two). More info here. 5th Cambridge Conference on Endangered Languages: Dr Ashvin Devasundaram and Anik Nandi presented their paper ‘Contesting the Conventionalising of Castilian: Galician New speaker Parents as Counter-Elites’ at the 5th Cambridge Conference on Endangered Languages held at the Centre for Research in the Arts, Social Sciences and Humanities (CRASSH) of the University of Cambridge on 31st July. Bridging Language Acquisition and Language Policy Symposium: Anik Nandi presented a paper on ‘Speakers as stakeholders: Role of new speaker parents in creation of bottom-up language policies in Galicia (Spain)’ at the Bridging Language Acquisition and Language Policy Symposium which took place at the Centre for Languages and Literature of Lund University, Sweden between 17th – 18th June, 2015. Annual Phalke Memorial Lecture 2015: Dr Ashvin Devasundaram gave the SACF’s 12th Phalke Memorial Lecture entitled ‘Multiplicity in Motion: The Rise of India’s New Independent Cinema’. With multiple stories spanning the diverse demographic and geopolitical spectrum of everyday human experience, this lecture explores ‘the new Indian Indies as a glocal hybrid film form – global in aesthetic and local in content.’ Ashvin argues that the new Indies have emerged from a middle space between India’s globalising present and traditional past. The new Indies’ paradoxical ethos is epitomised in their circumvention of Bollywood ‘song and dance’ sequences on the one hand and their incorporation of exoteric promotion and marketing strategies on the other, unlike their esoteric 1970s and 1980s Parallel art-house cinema predecessors such as Mani Kaul and Kumar Shahani. In the absence of an autonomous Indie distribution infrastructure, new independent films often have to rely on big corporate production houses or Bollywood producers and stars to enhance their visibility and saleability. However, the Indies share a common trait with their Parallel cinema forebears – they narrate both alternative narratives and narratives of alterity. Films such as Peepli Live (2010), Harud (2010), I Am (2010), Fandry (2013) The Lunchbox (2013) and Ship of Theseus (2013) all espouse themes and issues that discursively engage with the contemporary ‘state of the nation’. Some subversive Indies, such as Bengali film Gandu (2010) transgress normative notions of ‘traditional Indian values’ and hence encounter state censorship and regulation. Drawing from in-depth interviews with directors, actors, academics and members of the Indian Central Board of Film Certification (CBFC) across Bangalore, Delhi and Mumbai, the lecture will try to contextualise the new Indies’ emergence in a Bollywood-dominated Indian cultural milieu. SACF’s Annual Phalke Memorial Lectures have been delivered in the recent past by well-known Indian filmmakers like Shyam Benegal and Saeed Akhtar Mirza, film archivist P.K. Nair and the documentary filmmaker Shivendra Singh Dungarpur. ECER/WERA: Emma Guion-Akdag presented her work at the Education and Transition – Contributions from Educational Research conference in Budapest. Somali Voices at Summer School: Emma Hill represented LINCS at the Scottish Graduate School for Arts and Humanities’ (SGSAH) first national Summer School in Glasgow. Research was displayed by 13 doctoral or early career researchers from across Scotland. Emma’s exhibition display ‘Locating Somali Voices in Glasgow City’ showcased a collection of posters and postcards containing voices, commentary and opinions from different Somali groups in Glasgow. GRAMNet Research Day: Eloisa Monteoliva and Emma Hill presented the EU-funded project RADAR (Regulating Anti-Discrimination and Anti-Racism) at the research open day of the Glasgow Refugee, Asylum and Migration Network on the 17th of June. For more information on the GRAMNET research day, please see here. For more information on RADAR, either visit the project website or contact the UK Coordinator, Dr Katerina Strani. Applied English and Interpreting Summer School (3-21 August): Our Applied English and Interpreting course aims at strengthening linguistic skills, enhancing awareness of British culture and society, as well as practical interpreting skills. The first week of the course focused on English language & culture and the second week on practical interpreting skills. For more info and a detailed programme, click here. Academic English Pre-sessional Programme (6-14 weeks): The English Section is particularly busy in the summer months running a Pre-sessional Programme for students with conditional offers who still have to meet their English language entry requirements for degree study. The Programme consists of three courses Project (14 weeks), Passport (10 weeks) and Portfolio (6 weeks). There were 330 students this year with the majority aiming to study in SML or MACS and smaller numbers going to EGIS and SLS. There was also a cohort aiming to study at Glasgow University. End of course exams were held as part of the resit diet this year, giving pre-sessional students an authentic experience of exam conditions prior to their degree studies. The pass rate this year was over 99% with only one student requiring to resit the assessment. Along with the academic content there is also a vibrant Social and Cultural Programme with Topical Talks and a Carbon Café held each week at the Chaplaincy to promote engagement and discussion. Outdoor activities such as Go Ape and excursions to Loch Lomond, the Highlands and Whitelee Windfarm were amongst the most popular. The Heriot-Watt Pre-sessional programme is accredited by BALEAP, the professional body, and is one of the most highly respected in the sector. It is an excellent preparation for success in academic study with increasing numbers of Heriot-Watt students choosing to prepare in this way. SCEN Early Language Learning University Partnership is a Scottish Government project which aims to link Scottish universities with local schools and enable Scottish primary school children to begin learning Mandarin at an early age. Jane Bell is the contact person for the project in LINCS. 14 UG and PG Chinese students from Heriot-Watt delivered beginner Mandarin classes to children at Bonnyrigg, Burnbrae, Hawthornden, Lasswade, Loanhead, Paradykes and Rosewell primary schools. Informal feedback from primary school head teachers has been extremely positive. As a result, the student volunteers were presented with certificates at the Confucius Institute, in thanks for the time and energy they invested in this exciting new project, which they evidently enjoyed: “This is very precious experience for me. I spend 10 weeks with these lovely children, and it helps me to improve my skill of making slides and presentation.” “Through teaching students … Mandarin, I learned how to use the resources around such as cyber resources and library resources.” “This experience helped me practice my English speaking and help me understand English culture more clearly.” “It was really enjoyable and memorable.” We plan to continue this project in 2015-2016. Scottish Football Association referees: Dr Maggie Sargeant and Pedro Castillo ran a half-day course on public speaking and international communication to Scottish Football Association referees on Saturday 5 September. UN meeting: Prof Jemina Napier participated at a UN meeting in Geneva to discuss development of new International Sign interpreter accreditation system. Watch this space for updates! BSL Bill: Prof Graham Turner’s public engagement work has continued with a lot of committee/advisory work around the BSL Bill (eg for the sector’s BSL & Linguistic Access Working Group) which reaches Stage 3 in the Chamber on Sept 17th. Graham is also developing new online info around BSL and is preparing his work as Parliamentary Fellow at the Scottish Parliament Information Centre (SPICe). It is important to note that Graham won the Principal’s Public Engagement Prize for his pivotal role in promoting BSL as a minority language. National BSL Plan: Prof Graham Turner has also secured funding from the Scottish Universities Insight Institute for a 6-month project on ‘Planning for the National BSL Plan’. The project aims to design a blueprint for getting BSL taught as a modern language in schools under Scotland’s national ‘1+2 languages’ policy. Work has been ongoing through the summer to design the first of a series of consultative events, with Deaf international keynote presenters from the US and Finland, coming up in the autumn. Máiréad Nic Craith and Bernie O’Rourke (2015) “Anthropology and Language in Europe: Setting the Context.” Anthropological Journal of European Cultures 24 (1): 1-6. Jemina Napier and Lorraine Leeson (2016). Sign language in action, book submitted to Palgrave. Special Issue (number 12) of New Voices in Translation Studies, co-edited by LINCS PhD students Lee Williamson, Marwa Shamy, Penny Karanasiou and Pedro Castillo. The issue includes a selection of the best papers submitted after IPCITI 2013, organised in Heriot-Watt, and it is the result of the long standing collaboration between IPCITI and New Voices in Translation Studies. (with Colina, S.,(2015): Translation and Interpreting Pedagogy. Special issue. TIS Translation and Interpreting Studies Volume 10:2. Journal article: Justice for All? Issues faced by linguistic minorities and border patrol agents during interpreted arraignment interviews. In MonTI Monografías de Traducción e Interpretación Special Issue on Legal Interpreting . Maribel del Pozo Treviño and María Jesús Blasco Mayor (Guest eds.) (pp.181-205). Bilingualism and Multilingualism. In Claudia V. Angelelli and Brian J. Baer (eds.) Researching Translation and Interpreting. London/New York: Routledge. (32-42). Translation and Interpreting Pedagogy. In Claudia V. Angelelli and Brian J. Baer (eds.) Researching Translation and Interpreting. London/New York: Routledge. (pp.108-117). Exploring Translation and Interpreting. In Claudia V. Angelelli and Brian J. Baer (eds.) Researching Translation and Interpreting. London/New York: Routledge. (pp.5-14). Bilingualism (Societal). In The Encyclopedia of Interpreting Studies. Nadia Grbic and Franz Pöchhacker, eds. London/New York: Routledge. Ethnographic Methods. In The Encyclopedia of Interpreting Studies. Nadia Grbic and Franz Pöchhacker, eds. London/New York: Routledge. In The Encyclopedia of Interpreting Studies. Nadia Grbic and Franz Pöchhacker, eds. London/New York: Routledge. Still, some of us also managed to squeeze in a holiday. Now let the teaching begin!